Go big with the 3000VA Rack Mount UPS from V7, our most powerful UPS. It provides backup power for mission critical equipment in server rooms, data centers, and other vital equipment. It ensures a consistent flow of electricity to help prevent costly equipment failure and data loss during power failures, brownouts, or other power issues. Featuring Auto Voltage Regulation (AVR) to adjust for under-voltage and over-voltage to ensure stable power, the Rack Mount UPS also features an Efficiency Corrective Optimizer (ECO) to maximize energy savings. 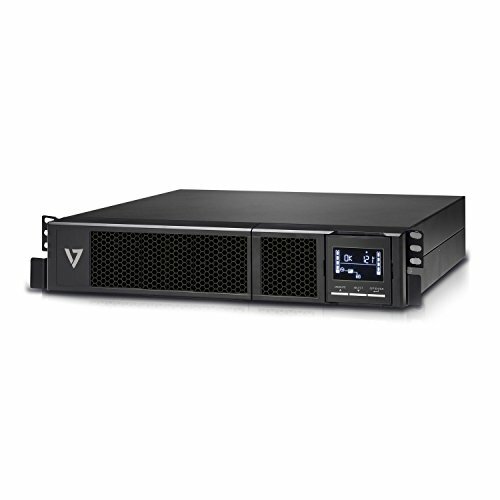 Additionally, the Rack Mount UPS enables you to manage backup time to critical devices with programmable power outlets and set shorter back up time for non-critical devices and also features audio and visual alarms for efficient and immediate warning of battery, load, and other issues.